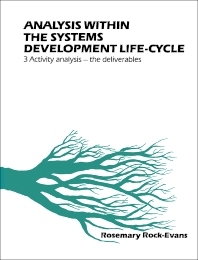 Analysis within the Systems Development Life-Cycle, Book 3: Activity Analysis — The Deliverables provides a comprehensive coverage of the deliverables of activity analysis. The book also details purpose of each deliverable in the context of the next tasks in the systems development cycle (SDC). The text first covers the concept of deliverables and the benefits of making deliverables visible. In the second chapter, the book introduces the main concepts and diagrammatic techniques of activity analysis. The third chapter deals with the important classes or categories of concept, while the fourth chapter talks about the deliverables of activity analysis. The book will be of great use to individuals involved in the design and management of complex development projects, such as systems engineers. How Do DFDs And Activity Decomposition Diagrams Fit Together?